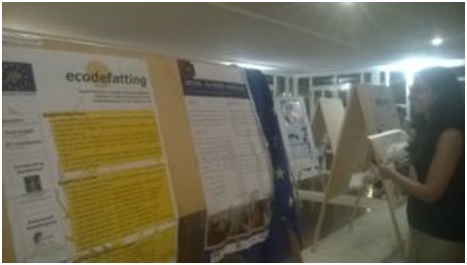 The Valencian Network of Technology Institutes (REDIT) and the Valencia Chamber of Commerce jointly organised a dissemination event for the LIFE+ projects that were carried out within the Valencian Region on the 14th July 2015. Conference titled “Best Avalaible Technologies in the Tanning Industry”, Lorca – Murcia (Spain), 14th May 2015. Workshop “Clean Technologies in the Tanning Industry”, Valencia (Spain), 7th November 2013. •	Participants, topics discussed and feedback: Ecodefatting material chemical analyses were presented to around 100 material researchers, university professors and chemicals, such as the project objectives and technical results.